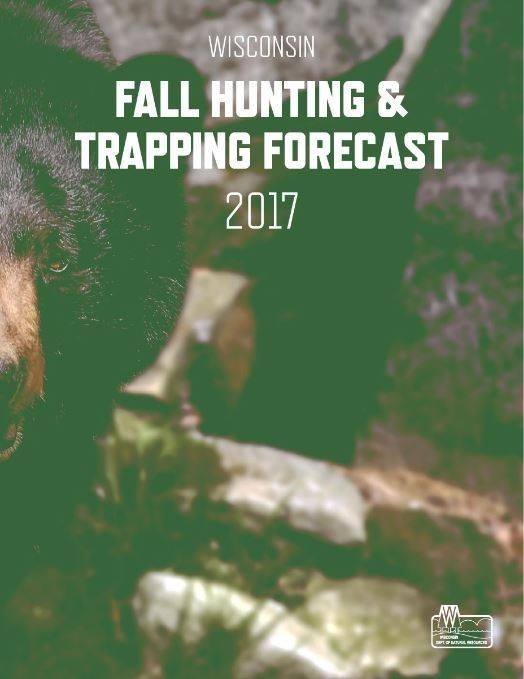 MADISON - Fall hunting seasons are underway and as you gather your gear and plan your trip into the field or woods, be sure to add a read of the 2017 Fall Hunting and Trapping Forecast [PDF] to your list of things to do. The Fall 2017 Hunting and Trapping Forecast is now available at dnr.wi.gov, keyword "forecast." The annual Forecast is now available and full of valuable information on where to find your favorite game, updates on hunting regulations or how you can get involved with deer herd management through the Wisconsin Deer Management Assistance Program or DMAP. "This is an exciting time of year for Wisconsin hunters whether you're out for ducks, doves, bear or deer," said Interim DNR Secretary Kurt Thiede. "The Fall Forecast is not only a great guide on where to hunt but is a great source of information for new or young hunters who are just being introduced to the sport. It can be a helpful tool in passing on a Wisconsin tradition." To view this year's hunting and trapping forecast, visit dnr.wi.gov and search keywords "forecast" or "hunt." DNR Customer Service staff is available to assist the public online and via phone from 7 a.m. to 10 p.m., seven days a week. Spanish and Hmong bilingual customer service representatives are also available. Customers may reach customer service at 1-888-WDNR INFo (1-888-936-7463) or by e-mail at csweb@wisconsin.gov. To find all licenses for the fall hunting season and beyond, log into your Go Wildaccount or visit www.dnr.wi.gov and search keywords, "Go Wild."